1073 SW 158th Ave #1073, Pembroke Pines, FL.| MLS# A10628798 | Susan J Penn l Best Agent l Buy & Sell South Florida Homes! SPECTACULAR & IMPECCABLE!! Ready to move in! just bring clothes & toothbrush! 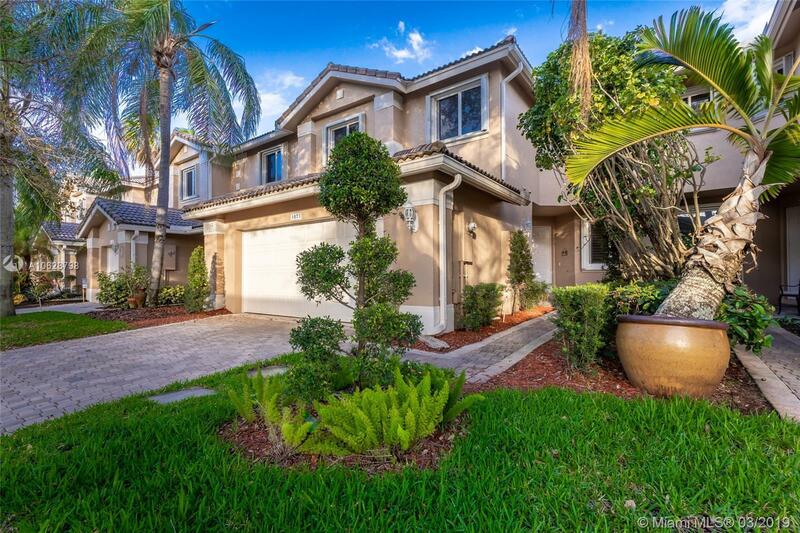 Most sought after golf course & patio view from this 3 BR plus Den, 2.5 bath, 2 car garage in the Courtyards of Grand Palms, Pembroke Pines premier golf resort community. Grand master bedroom with large his and hers closets. Home has plenty of closet space and upgraded full size washer & dryer. Golf course views from the majority of the home, paved patio & fenced yard on Sabal 3 fairway. Upgraded kitchen & bathroom cabinetry, granite kitchen counters & breakfast bar, accordion shutters. Walk to pool, golf clubhouse nearby. Lawn & exterior home maintained by HOA, cable, gated & manned gate & more included in HOA fees. Great location for easy commute to shopping, dining, grade A schools. DO NOT MISS THIS ONE!